What were you doing at 7:30am on Sunday? 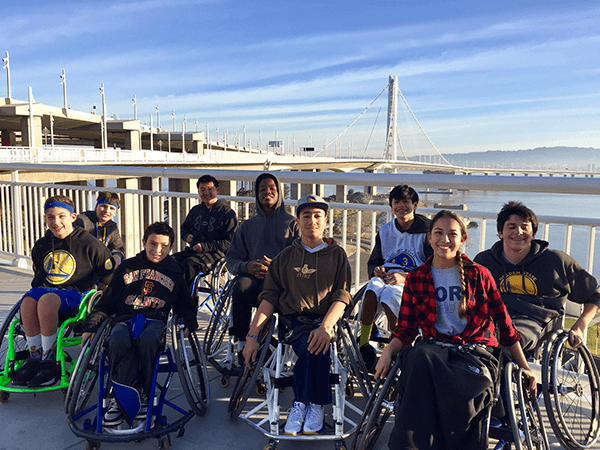 Several members of BORP’s Varsity Basketball team were already halfway across the Bay Bridge at 7:30 AM this past Sunday, pushing all the way to Yerba Buena Island. “What impresses me so much about this is that these kids got themselves up out of bed, in some cases at 4:30 and 5:00 am to get ready for the push. Then they got on the trail and pushed 9.5 miles to finish the round trip,” says coach, Trooper Johnson. 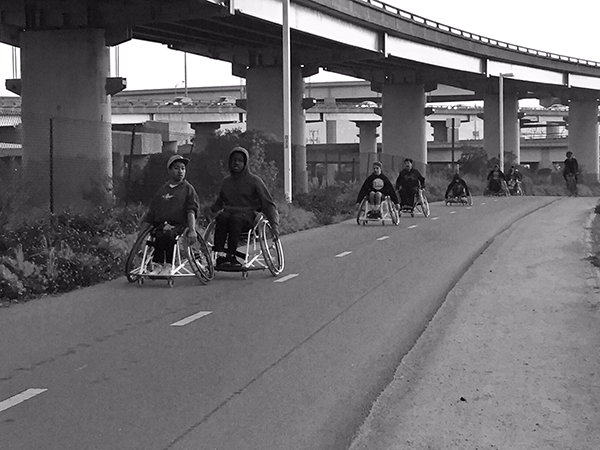 BORP Varsity Basketball Team pushing on the Bay Trail toward the Bay Bridge early on Sunday morning. Great job Ella, Elliot, Ben, Daniel, Garnett, Matthew, Stephen, Avery, and Jacob! 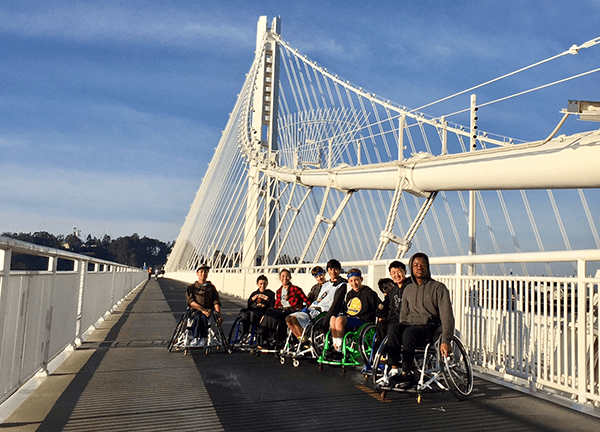 Group picture of members of BORP’s Varsity Basketball team who pushed 9.5 miles on Sunday morning.